A varied approach to involving volunteers from overseas. Positive and creative impact newcomers to NI can have on your organisationa. 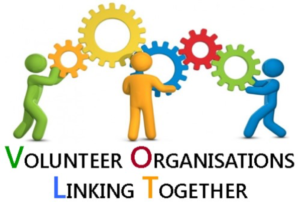 Volunteer Organisations Linking Together (VOLT) is a free session for those who want to focus on a volunteering issue with other like-minded individuals. Organised 4 times a year, sessions will address topics that those working with volunteers want to hear more about. All events are free and held in Volunteer Now’s offices at 34 Shaftesbury Square, Belfast BT2 7DB.